We are interested in the respective contributions of nuclear stopping and electronic stopping to the (integral) energy deposited in solid materials during irradiation with heavy ions with defined energy (e.g. Au-197 ions with 5 MeV). 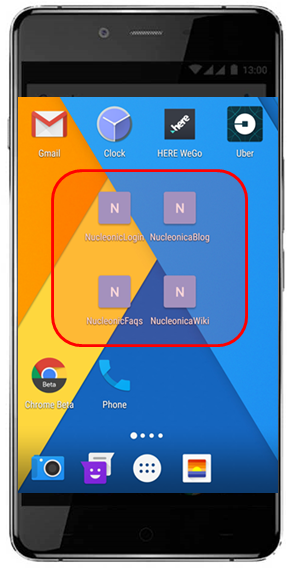 Using the Range & Stopping Power++ App in Nucleonica, the results table provides only the values for the electronic and nuclear stopping at the materials’ surface (e.g. 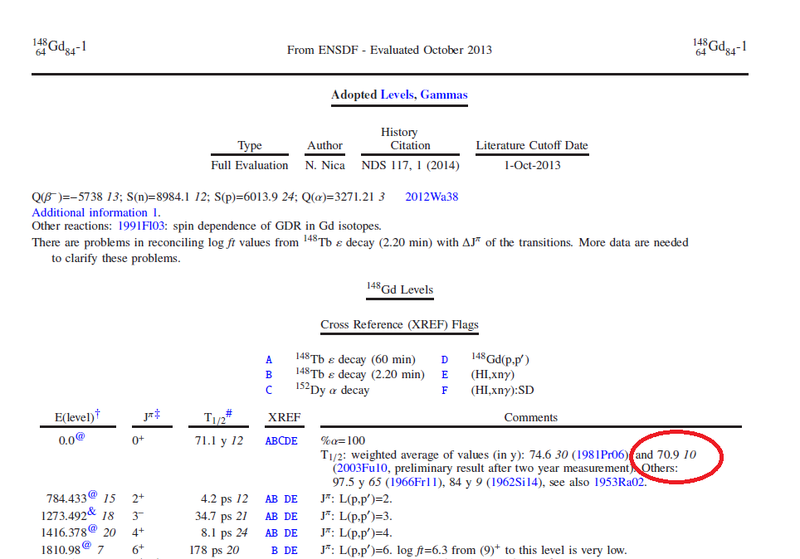 in keV/µm at depth 0 µm). 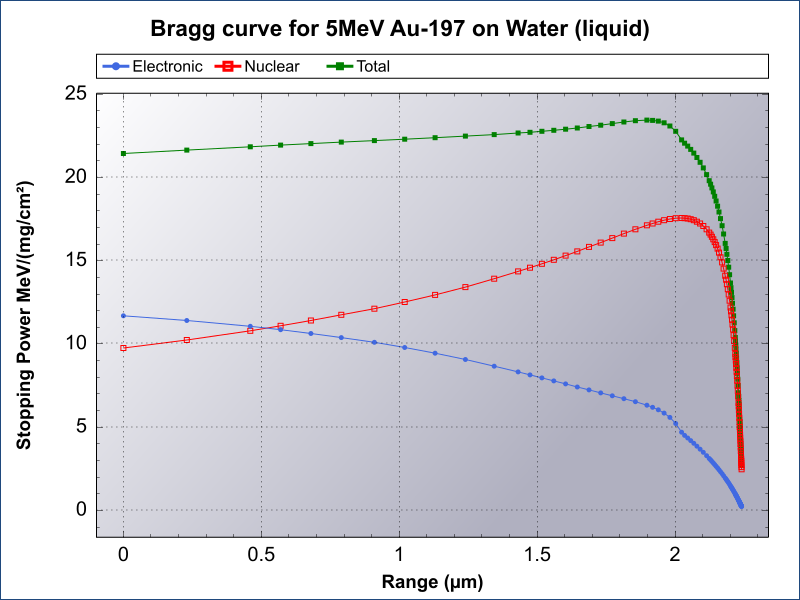 Integrating the Bragg curves (using the downloaded graph data) by the trapezoidal method suggests that the sum of the energies deposited by nuclear and electronic amounts only to 80 to 90% of the initial energy of the projectile. Is this correct (and if so, where is the remaining energy), and is there a more convenient way to directly calculate the amounts of energy deposited by each nuclear and electronic stopping, respectively, using either the Range & Stopping Power++ App in Nucleonica or SRIM/TRIM. 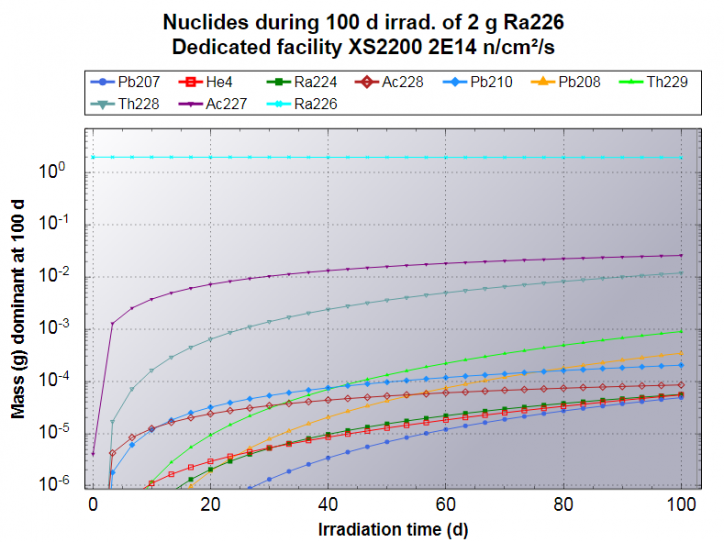 The difference in the sum of the energies deposited by nuclear and electronic contributions come most probably from the limitations of numerical calculation procedure. The difference is not due, for example, to Bremsstrahlung since Bremsstrahlung is considered only for light particles, i.e. incoming electrons and positrons. The R&SP++ app does not calculate Bremsstrahlung for heavy ions. This difference probably comes from the numerical procedure. 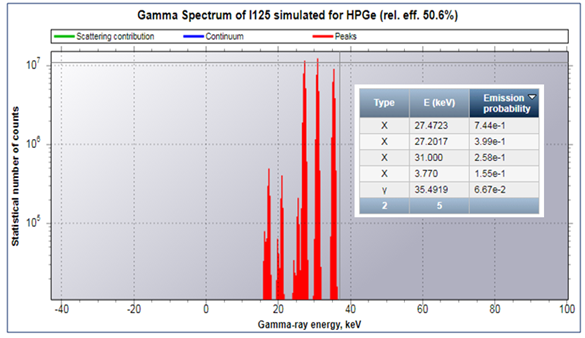 Note the R&SP++ app uses the SRIM engine for heavy ions, so R&SP++ app and SRIM’s results are the same. The Nucleonica Team will investigate this difference further. Due to problems with the renewal of the nucleonica.com SSL certificate, the SSL (https) has been temporally disabled. As soon as the problem has been resolved, the SSL will be reactivated.